Powder coating has become by far the most commonly used painting method, as it produces surfaces resistant to UV light, corrosion, abrasion and impacts. Powder coating provides an almost unlimited range of aluminium profile colour options. Our two powder coating facilities allow profiles to be surface treated with thousands of different colours. An elegant and impressive specialty coating, Decoral, is becoming increasingly popular. It allows aluminium surfaces to be decorated with all kinds of patterned surfaces, from abstract patterns to wood and stone imitations. If necessary, we can anodize the profiles before painting. This way the end product will have excellent corrosion resistance due to anodizing and the desired colour can be freely chosen from the wide range of powder coating options. 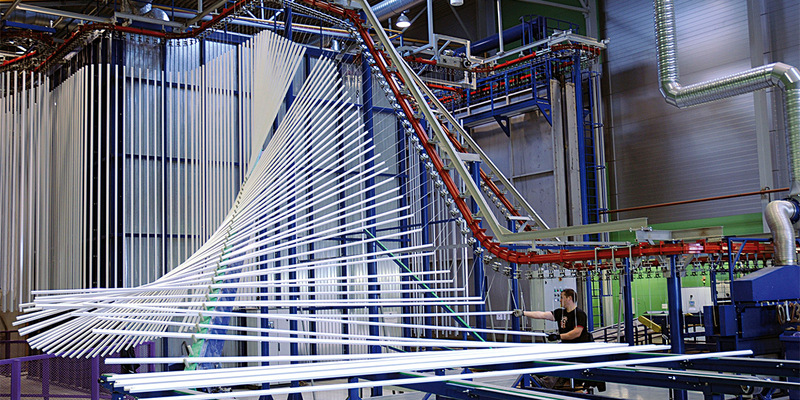 The maximum profile length allowed by our painting line is 7.4 m.
Since painting is a surface treatment option that adds material, it will change the profiles’ dimensions. This must be taken into account when painted profiles are joined to other profiles or other materials. Since the profiles must be suspended for treatment, some suspension marks may occur at the ends of the profile (sometimes also in the middle). Due to this we will discuss any special requirements for the surface treatment with our customer. 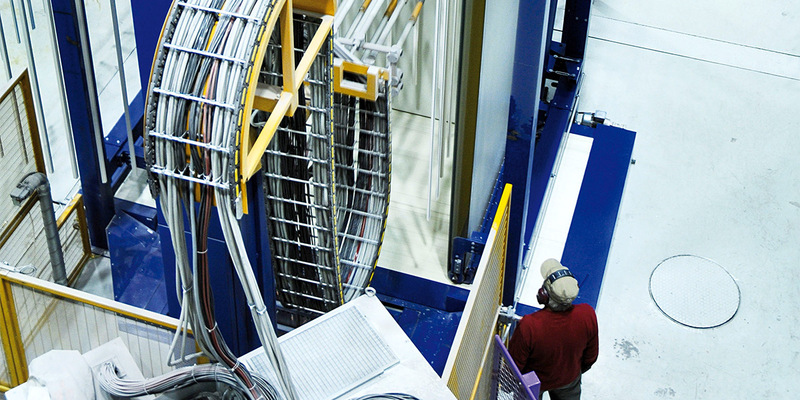 Since we have three powder coating lines – one vertical and two horizontal lines – large batches are not a problem. Yet our modern production system is also cost-efficient with small batches. 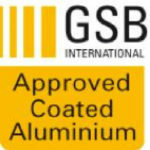 Our production is GSB certified, which is a sign of quality.